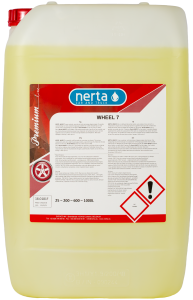 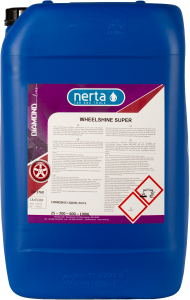 NERTA ATC 100 is a very powerful acid detergent developed to clean aluminium tankers, fuel tanks and wheel rims. 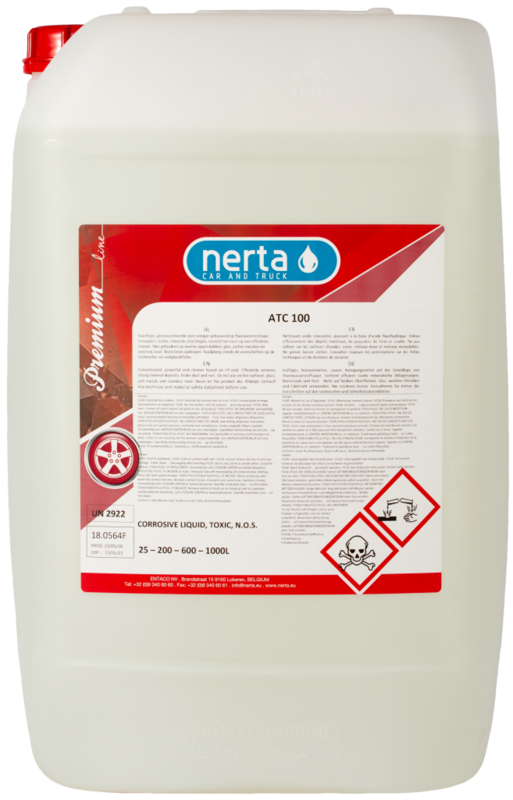 ATC 100 is a powerful acid detergent, based on hydrofluoric acid with a large range of applications such as car, truck and bulk cleaning, rim cleaning, outside cleaning, cleaning and renewal of aluminium, etc. 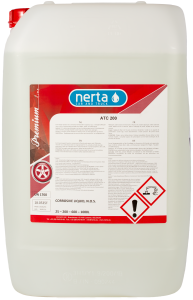 The product will renew corroded aluminium tanks. 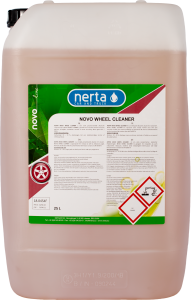 Prepares for polishing and also removes rust and scale deposits.